Nikon D610 Full Frame DSLR Now Available for Pre-order! Nikon’s newly announced D610 is a full-frame masterpiece that bridges the gap for photographers seeking the advanced imaging capabilities of an FX-format without compromising on its compact and lightweight form. Packed with features including a 24.3 Megapixel FX-format CMOS sensor, EXPEED 3 image processing engine and a generous ISO range of 100 to 6400 (expandable from 50 to 25600), the D610 is engineered for superior performance that will surely answer the needs of enthusiasts and professionals alike. 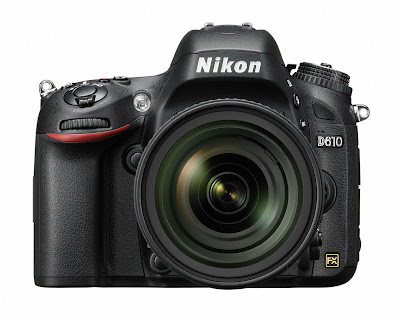 Available from mid to late October, the Nikon D610 is ready for pre-order right here! As always, our products are 100% Australian Stock with full local Manufacturer’s Warranty so you can be assured that your investment is genuine and covered.